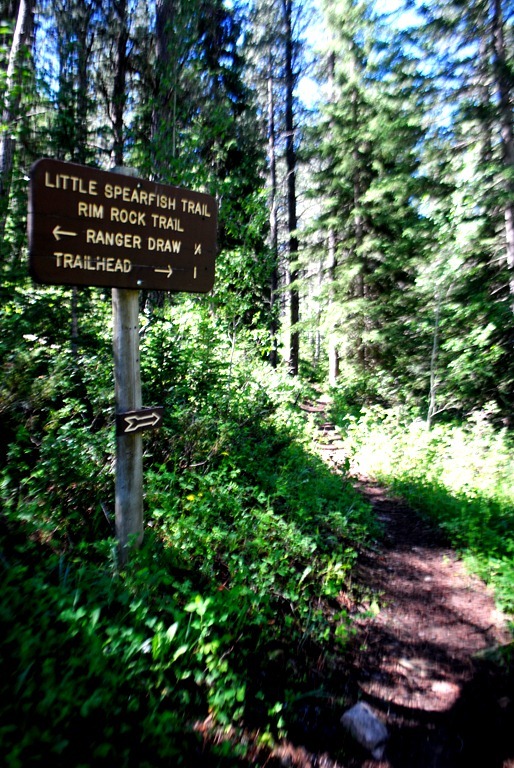 The Little Spearfish Trail is one of three trail systems that are connected near the end of Forest Service Road 222. These three trails (Little Spearfish Trail, Rimrock Trail and Old Baldy Trail) offer about 20 miles of hiking, mountain biking or horse back riding in the Spearfish Canyon area. The Little Spearfish Trail is a 6 mile loop. It is rated as easy to moderate. Elevation change is almost 1000 feet. The highest point is found about half way into the loop – so either way you go then end of the trail is mostly downhill. When I was hiking the Ranger draw portion of the trail in mid-June there were wild flowers and butterflies everywhere. 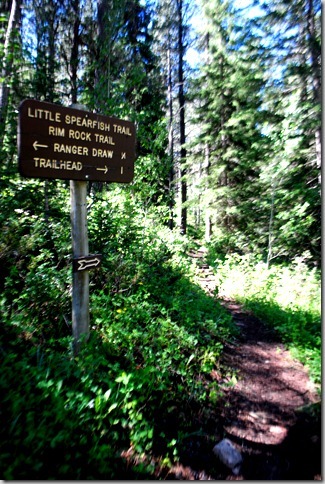 The Trailhead is just past Timon Campground or about 3 miles from Roughlock Falls. It is a gravel road that winds it’s way through the gulch close to Little Spearfish Creek. The road can easily be driven by most cars, however, November through March the road is closed to wheeled vehicles and becomes part of the Black Hills Snowmobile Trail. There is so much to explore in the canyon, grab a map, plenty of water and some snacks and get going. Below is my interactive Black Hills Map, click on an icon – if you want to go to the related page click on the photo.